Renters who need financial assistance to meet their monthly rent payments can seek help through one of three housing programs. Income is an important measure of whether you may qualify for this assistance. 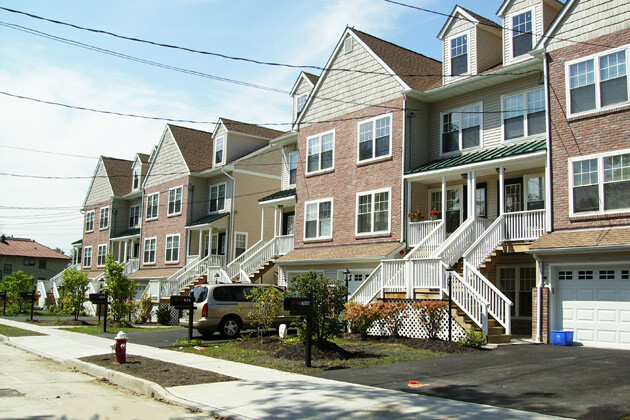 What is Section 8 Housing Choice Voucher Program? Section 8 is a federal rental assistance program of the Department of Housing and Urban Development (HUD) but administered by local offices. It is not an emergency assistance program and applicants may wait a considerable amount of time for assistance. There are 17 Section 8 program offices in Westchester County. Each office is an independent program with its own waiting list for assistance, program guidelines and areas of assistance. If you live in an area with a local Section 8 program, they may be the program that can assist you the quickest. But all programs may not have open waiting lists. Please note: As of April 1, 2011, the Westchester Section 8 Program is administered by CVR Associates. The housing choice voucher program is the federal government’s major program for assisting very low-income families, the elderly, and the disabled to afford decent, safe, and sanitary housing in the private market. Since housing assistance is provided on behalf of the family or individual, participants are able to find their own housing, including single-family homes, townhouses and apartments. The participant is free to choose any housing that meets the requirement of the program and is not limited to units located in subsidized housing projects. The owner or landlord must agree to rent under the program. This unit may be the family’s present residence. Rental units must meet minimum standards of health and safety, as determined by the Section 8 program administrators. A housing subsidy is paid to the landlord directly by the Section 8 program PHA on behalf of the participating family. The family then pays the difference between the actual rent charged by the landlord and the amount subsidized by the program. Under certain circumstances, if authorized by the Section 8 program, a family may use its voucher to purchase a modest home. Who can I contact for more information and assistance? What is the Housing Opportunities for Persons With HIV+/AIDS? HOPWA is a federally funded program which can help to fund rental assistance or rent subsidies and needed services. The HOPWA program is designed to assist eligible individuals and families who are currently living in their apartments and are threatened with the loss of their housing because more than 50% of their income goes to pay rent or have unstable and inappropriate living conditions for their illness. The Office of New York City Department of Mental Health and Hygiene contracts with Lifting Up Westchester formerly known as Grace Church Community Center in White Plains to administer the HOPWA program which is available to all county residents. This is not an emergency program. Applicants may wait a considerable amount of time for assistance.